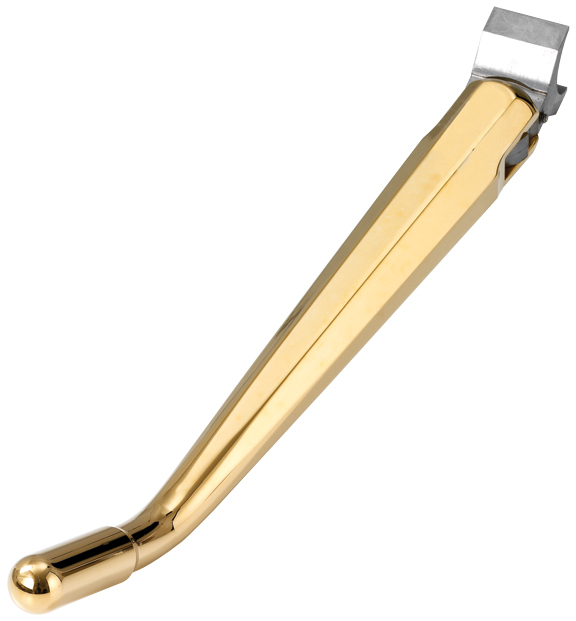 This chopper kickstand is machined out of brass and features an internal spring for a super clean look. It can be welded to all frames and will look great on custom choppers, bobbers and most custom motorcycles featuring an old school look. 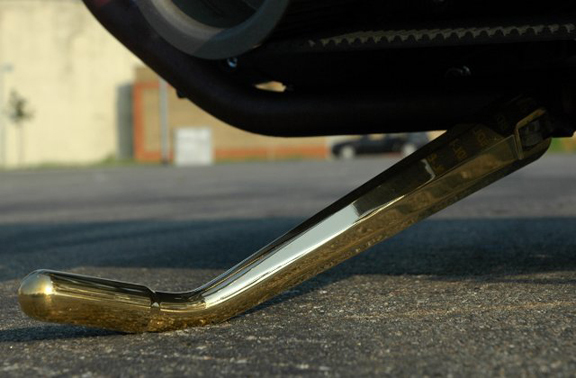 This custom motorcycle kickstand perfectly matches with our Vintage Custom Forward Controls, Vintage Custom Forward Controls with Round Holes, Vintage Motorcycle Foot Pegs, Brass Motorcycle Pegs, Brass Spinner Custom Gas Cap for Stock Tanks, Vintage Motorcycle Grips, Brass Motorcycle Grips and De Luxe Retro Brass Motorcycle Hand Controls. 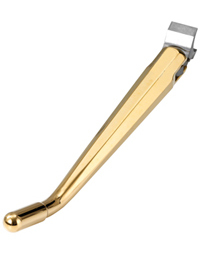 I want to kno that your Universal Brass Motorcycle Kickstand works on 2014 Harley CVO Breakout. Our universal kickstands are not specific to any particular model. 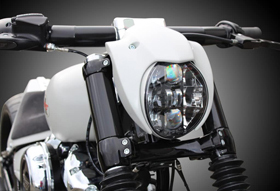 Installation requires welding of supplied mounting bracket to motorcycle frame. Thank you very much for your response! 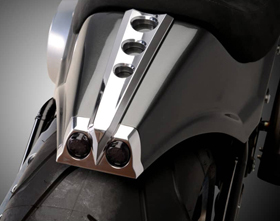 but do you sell ” the mounting bracket to motorcycle frame “?. Yes, the weld-on bracket is included with the kickstand (on the pictures above is the steel bracket to which the kickstand is attached).